"In order to understand reality one must measure it, then progress will be immediate..."
Contemplative - Mediative Moments of Darian Stavans' Music. Darian Stavans - Piano. Jaime Narvaez - Guitar. 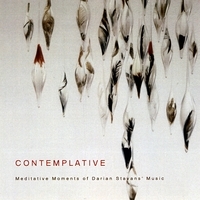 Contemplative / Contemplaciones is about the meditative and contemplative moments in Darian Stavans’ music. This album is also an instrumental sampler containing works for solo instruments like the piano, harp or guitar in addition to orchestral works. It is a good opportunity to become acquainted with the meditative art of Darian Stavans and to relax as you listen.